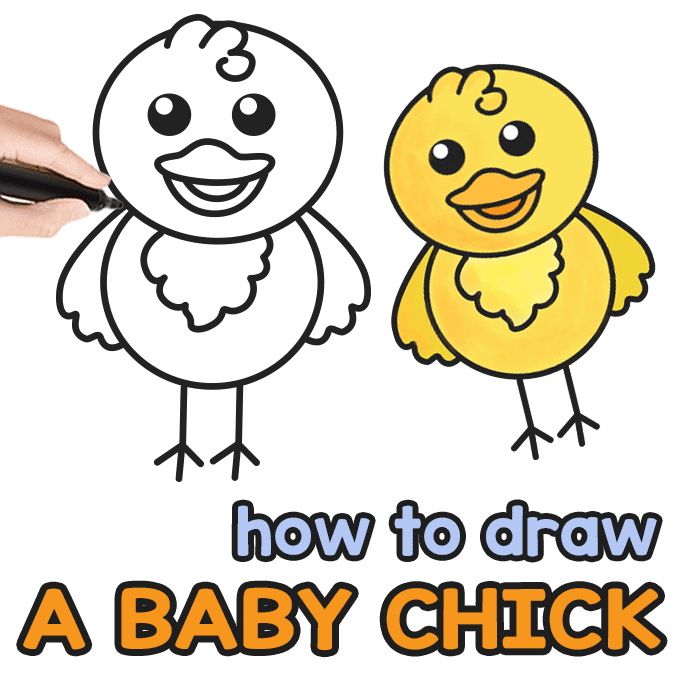 Let’s learn how to draw a baby chick with this easy to follow step by step drawing guide. 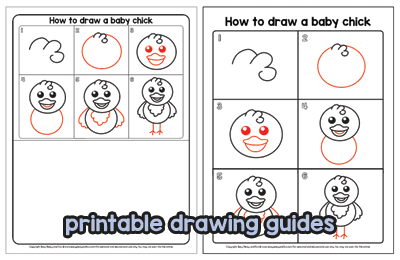 This tutorial will show you how to draw a cartoon chick and is sutable for beginners and kids, you’ll be drawing a chick in no time. 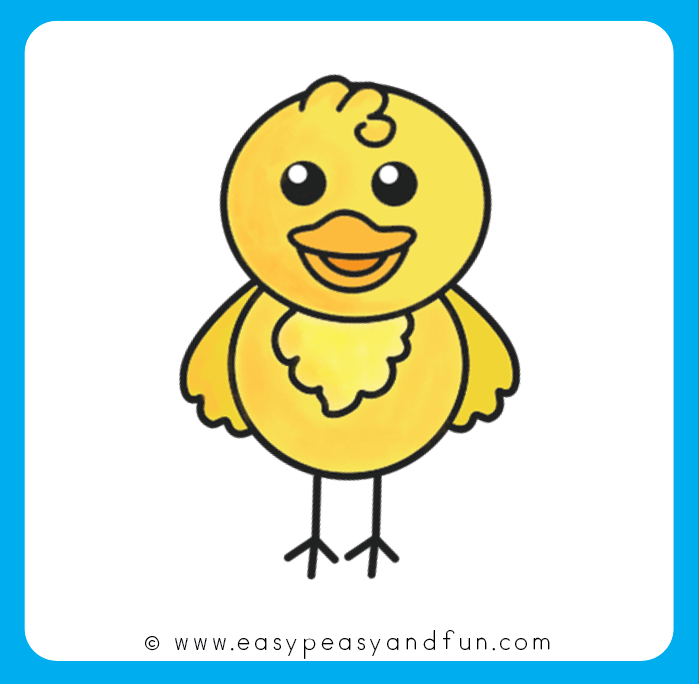 Chicks are really popular in spring. 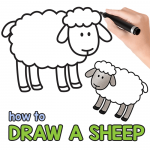 If you are looking for Easter drawing lessons you can pair this one with out How to Draw a Bunny tutorial. 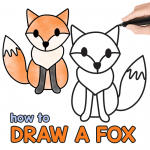 If you are drawing this one as a part of farm animals drawing lessons, we have plenty of those how to draw tutorials too, so do check them all up. 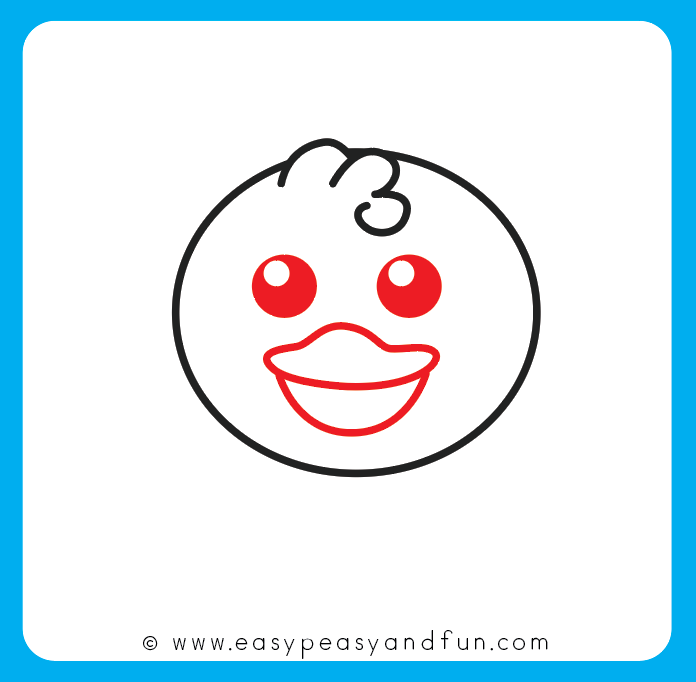 Start by drawing the “hairdo”. 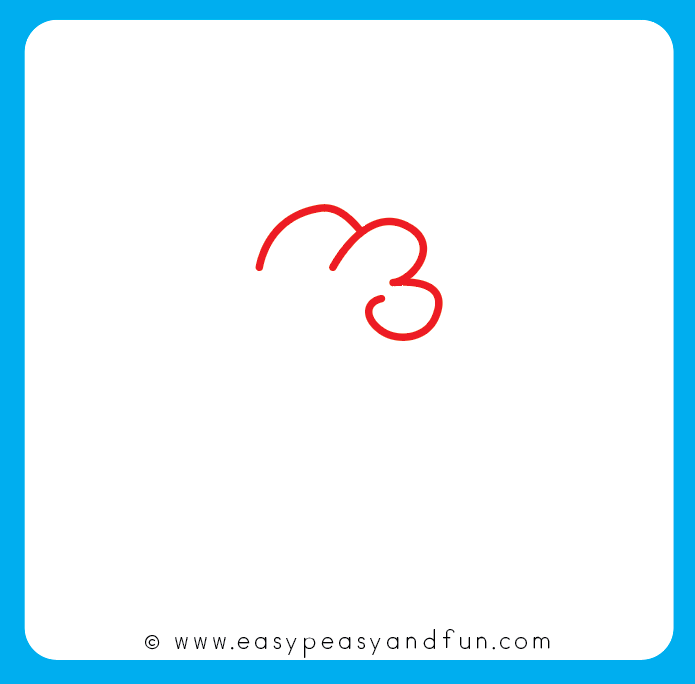 A slightly tilted number 3 or simmilar shape will do the job. 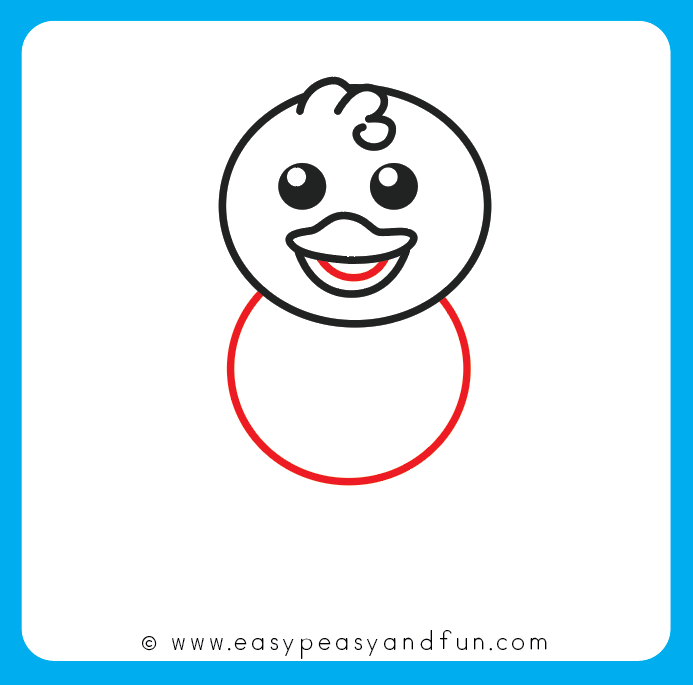 Now starting at the top, start drawing a circle or elipse shape for the chick’s head. 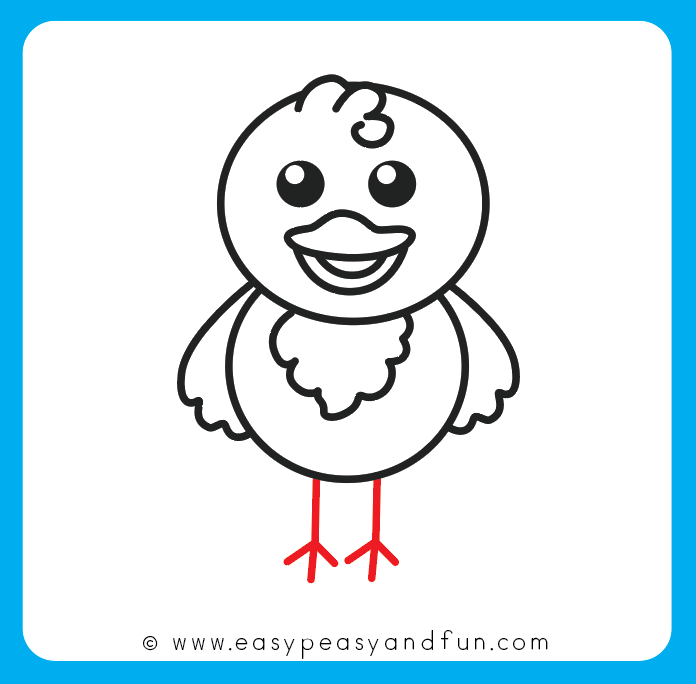 Finish up drawing the beak (optional). 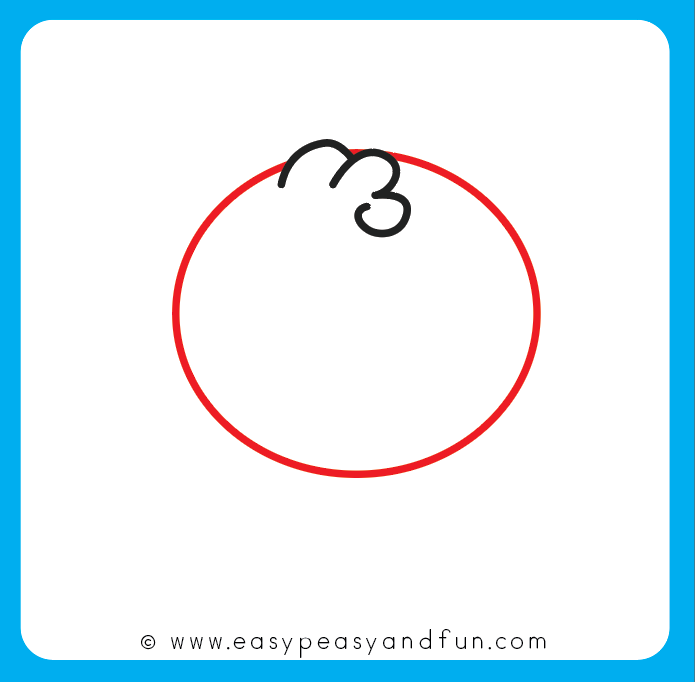 Draw a circle under / elipse shape under the head. 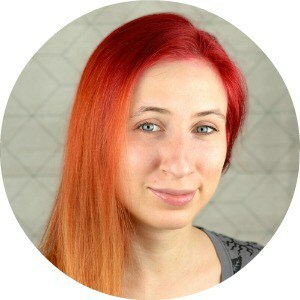 This makes the body. 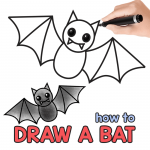 Draw a set of wings, start from the head and draw towards the bottom of the body. 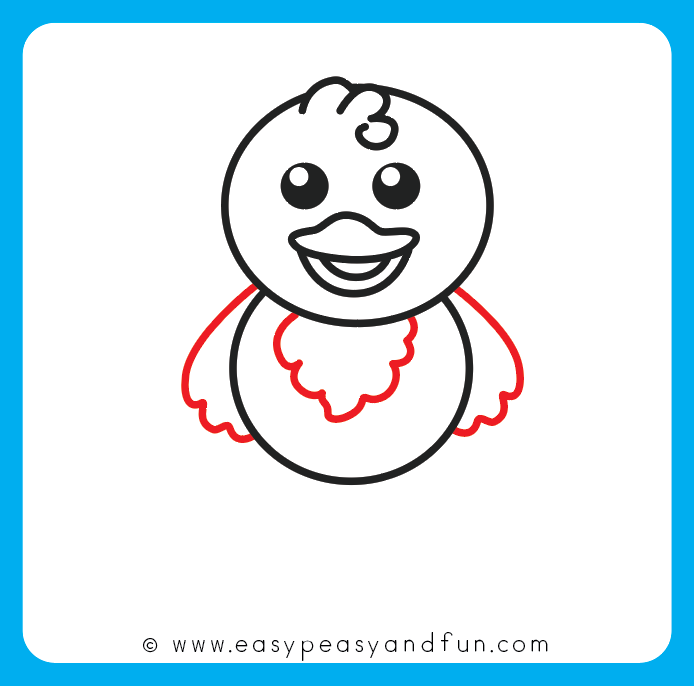 You can also draw the feather details under the head. 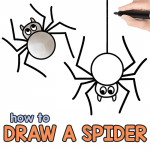 Last thing to draw are the feet. 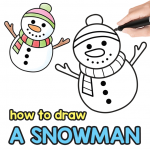 Draw a straght line from the body. Finish up with a few lines for the feet. 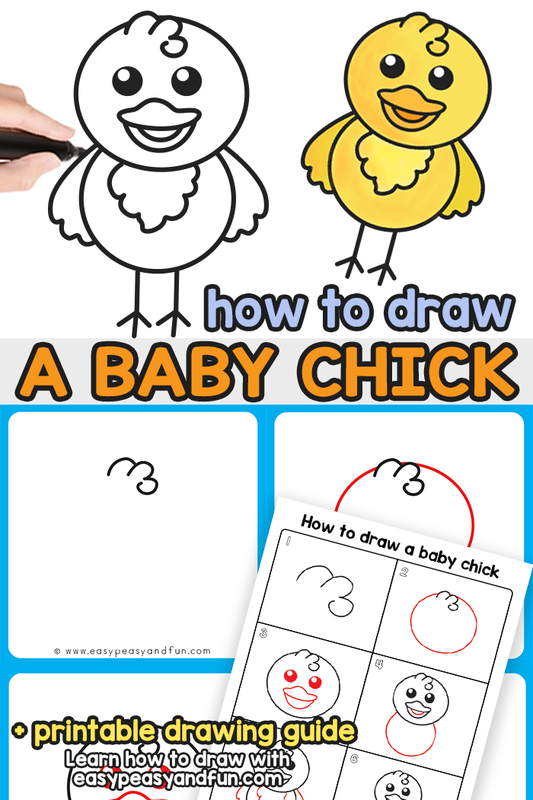 Color your baby chick drawing.